Nature’s energy drink, delivered right to your door. Order as needed or save with our convenient subscriptions. 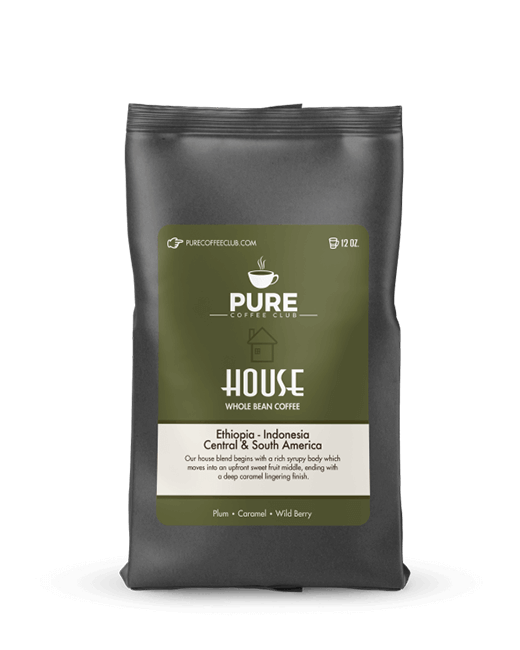 Our unique blend of Indonesian, Ethiopian, South and Central American specialty-grade coffees offers an elegant complexity for a great tasting coffee that can be enjoyed all day long. When we created our Athletic Blend, we sourced the best, most complex tasting beans and carefully blended them with beans with naturally occurring elevated caffeine levels. Features 55% more caffeine than our other offerings. From Tarrazu, Costa Rica comes a classic single origin coffee with a twist. 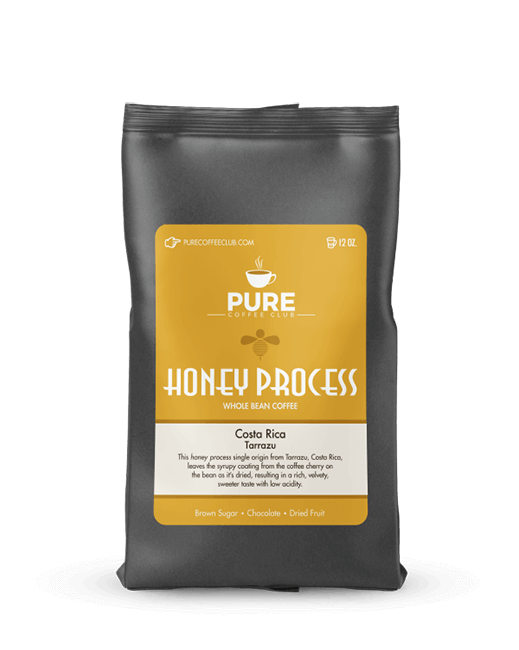 In “honey” process, the syrupy coating left when the fruit is stripped from the bean is left on during drying, resulting in a distinctive, sweeter taste. Dark roast coffees are a staple through Europe. In America, the first place where coffee became popular was New Orleans, which developed its own tradition of enjoying deep, dark roasts. That’s where our Double French comes in. 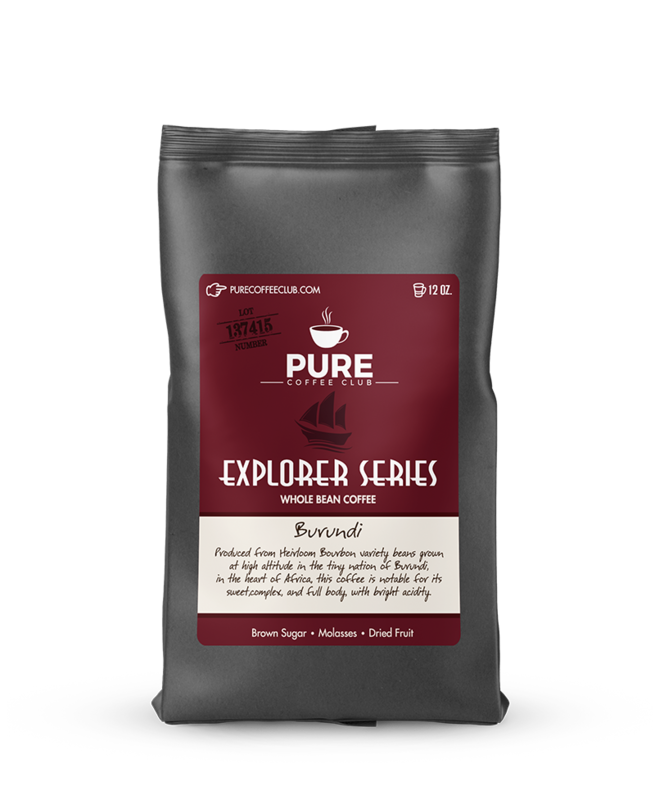 Pure Coffee Club’s “Explorer Series” will be scouring the planet for the most delicious, interesting, and exciting single source coffees available. When you subscribe to this series, every month you will get a different heirloom single source coffee that we have selected specially for this collection. These heirloom coffees generally come in very small lots (“micro lots”), and are available for limited times only. When you subscribe to this series, every month you will get a different heirloom single source coffee that we have selected. Produced from Heirloom Bourbon variety beans grown at high altitude in the tiny nation of Burundi, in the heart of Africa, this coffee is notable for its sweet, complex, and full body, with bright acidity. The beans are hand picked, sorted, washed, and dried in the Kayanza growing region in the northern part of Burundi. The result is an exceptional coffee with notes of brown sugar, molasses, and dried fruit. Our exclusive house blend, unique honey process, or an athletic brew with extra kick. One and done: be prepared for amazing coffee, without the hassle of having to re-order. We give you the option to donate to Water.org with every order, and we at Pure Coffee Club will match every contribution. Pure Coffee Club seeks out the finest specialty coffees from around the world. Our Master Roasters use their extensive expertise to find the best and rarest single source coffees and create the most exciting and well-balanced blends possible. The results are uniquely satisfying flavor profiles. Enter your email below for a chance to win a prize! You’ll only have 30 minutes to use the code if you win, so act fast!